Google unceremoniously unveiled the Cardboard, its first virtual-reality headset in 2014. Little did we know, the low-cost VR headset, which works in conjunction with a smartphone, will set a benchmark for many others to follow, and that users would be able to make so much out of it. Such is the case with a visually challenged woman who has been able to see again using Google’s gadget. Bonny has been suffering from Stargardt disease for the last ten years. It has been eight years since she was last able to see a face. Because of the nature of her vision loss, the Google Cardboard, thanks to a specific app was able to make her see again. Google shared Bonny’s story this week. According to estimations, about 25,000 people suffer from Stargardt disease. The disease causes progressive damage to the macula, an oval yellowish area surrounding the fovea near the centre of the retina in the eye. The disease causes a slow loss of central vision in both eyes. There are a number of services that a person suffering from Stargardt could use to do their daily chores. This is where Google’s Cardboard comes into play. 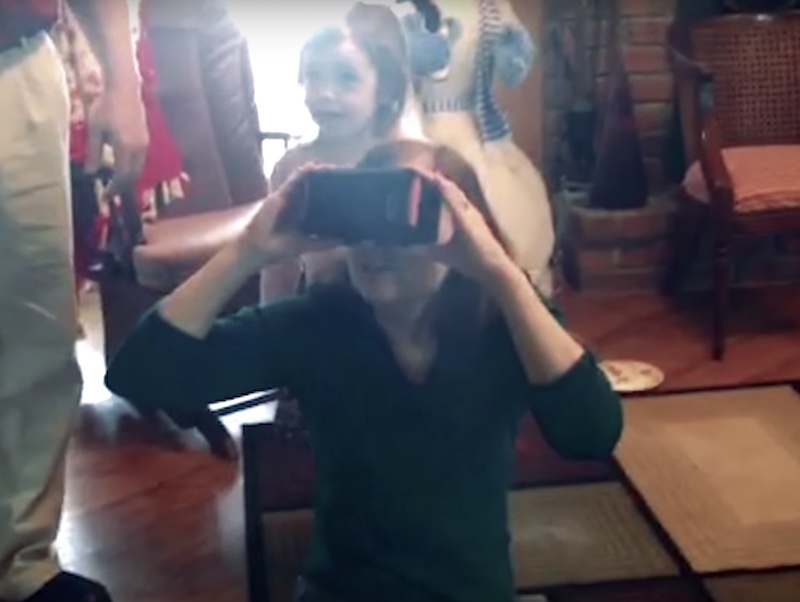 With the help of an app called Near Sighted VR Augmented Aid, Bonny was able to see again. The app makes use of a phone’s rear facing camera and delivers the image to each eye. Google Cardboard offers this functionality. The story of Bonny has been documented in a video, which you can find below. The story of Bonny is another reminder of how technology is helping us find new ways to enrich people’s lives, and pushing humanity forward. With the advent of virtual reality technology, we can only imagine the kind of things we will be able to do.